CALGARY (CP) — A new study says there was a dramatic rise in pay for Canadians in the top one per cent of incomes in the past 25 years, and it wasn't clearly tied to talent or performance. Of that overall income growth, the top 10 per cent saw most of it, while the rest had ``negligible'' income growth, the study said. ``Before you get to the top 10 per cent there is essentially a complete stagnation,'' said Thomas Lemieux, who co-authored the study with W. Craig Riddell. Close to 80 per cent of the so-called one percenters were men, likely over 35, and usually in senior management positions, the study said. The top earners also worked on average 49 hours a week compared to 39 hours for all workers, and more than half of top earners worked more than 50 hours a week. 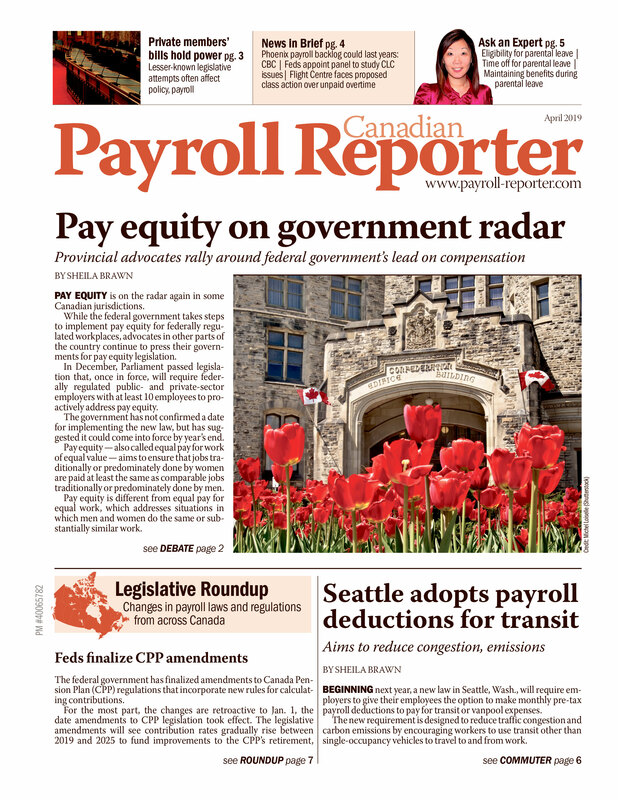 Looking at census data, the two University of British Columbia professors found that executives and those in the financial and business services sectors saw the biggest climbs in pay. But they concluded that the increases weren't just the result of a competitive market for talent. Instead, the study said executives and financial workers have seen their pay rise because the system allows them to take in more earnings than their skills or performance. Factors beyond a CEO's control, or simply ``luck,'' can result in compensation increases, the study said, citing as an example oil executives who see their pay rise when crude prices soar. On the financial services side, the researchers credit the investment of other people's money as a significant source of their increased earnings. ``Deregulation and lack of oversight have created opportunities for finance professionals to earn extraordinarily large incomes by taking substantial risks with other people's money,'' the study said. It also found that people with medical degrees had actually seen their income growth slow in comparison, and it pointed to greater regulation around health sector pay as a factor. Lemieux and Riddell say their overall research looked at the top one per cent of incomes between 1981 and 2011, but because of changes to the Census, they stopped comparing some data after 2006. To be part of the one per cent in 2011 you would have had to make at least $160,000.